The Facial Bar | Good Morning! 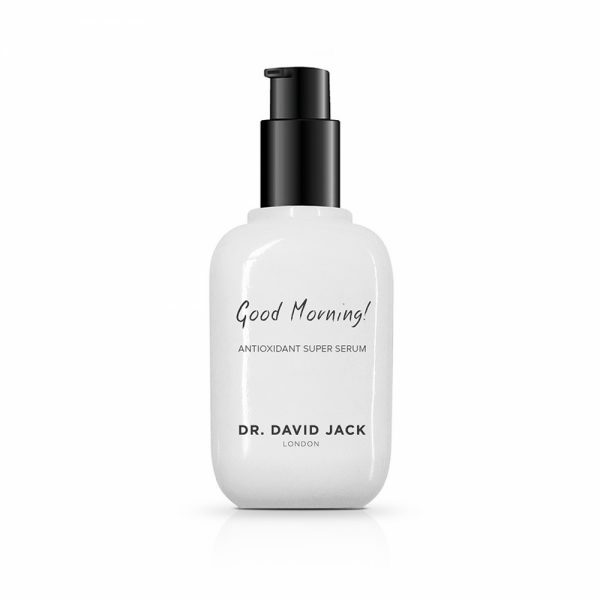 Home > Shop > Topical Skincare > Good Morning! For this morning treatment, I combined scientific and evidence based formulas in a chirally correct and pH balanced form to create a gel serum that provides daily antioxidant protection and gently repairs the skin from past sun damage. This advanced serum contains stabilized 10% L-ascorbic acid, a natural form of Vitamin C which is easily and quickly absorbed by the skin to brighten and protect for your day ahead. As with all of my products, the One Pump Principle™ applies – just one pump should be enough to cover the whole face! All UK mainland orders are shipped on a 3-5 day service. Monday to Friday // FREE on all orders over £50 // Next Day Service is available, Monday to Friday. Please place your order before 5pm to guarantee next day delivery. Orders placed after 5pm will be dispatched the next working day.